CATALINA ISLAND — At the turn of the century, “pulp fiction” or “dime novels” were all the rage as, similar to binge-watching programs on streaming services, Americans found their entertainment in reading cheap, adventure novels that allowed for readers to get caught up in the fantasy of what it might be like to be a cowboy or Native American. 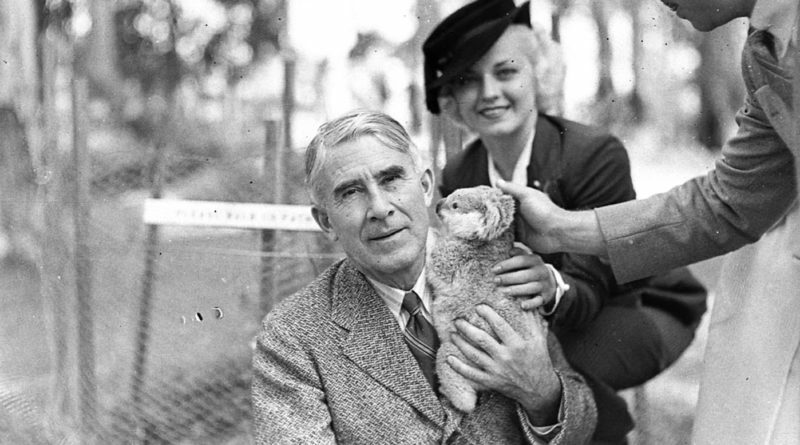 Zane Grey was a popular genre writer of Westerns, who held an interest in the subject of his writing and enjoyed life on Catalina Island. He was a member of Catalina’s Tuna Club and wrote countless books on the subject of fishing, Native Americans and other matters of great outdoor lovers of his time. With his writing, Grey reached millionaire status and he never stopped exploring nature, including Catalina Island. Grey, who was born Jan. 31, 1872, made a significant mark on Catalina history when his movie production team filmed the adaptation of his novel “The Vanishing American” in 1924: The arrival of bison! According to the Catalina Island Conservancy’s first newsletter, Catalina is an “oceanic” island meaning it was never attached to the mainland island but was always an isolated land mass. From there, it can be deduced that any animals, plant life or people had to already exist there, sail there, fly there, or be taken there. To some, it may be a curious thing to imagine the bison being a native animal of Catalina Island – and that is because they are not. Fourteen bison were brought there during filming. A sad fact: The bison scene never actually made it into the movie, but was cut instead. Catalina bison, which the Catalina Island Conservancy works to ensure coincide with over 60 native species of plants and animals, now has a herd that is capped out at 150. A birth contraception plan includes annual “inoculation” of all female bison to keep the herd from growing any larger preventing health problems, starvation from lack of food resources, and infringement on native island inhabitants. Grey, whose written works still survives him and can be found for free all over the internet, also can be credited with the legacy of bringing the bison to Catalina Island — just another unusual and fascinating part of Catalina’s history. Article written with sources from Catalina Island Conservancy and Zane Grey publications. *Post updated to reflect the proper name of Catalina Island Conservancy on Feb. 15. Please note that it is the Catalina Island Conservancy — not the Catalina Conservancy — and that there was not a concern about a lack of food for the bison but a concern about the impact the herd has on the Island’s resources that led to the use of contraceptives. Devon Warren, thanks a lot for the post.Really thank you! Much obliged.